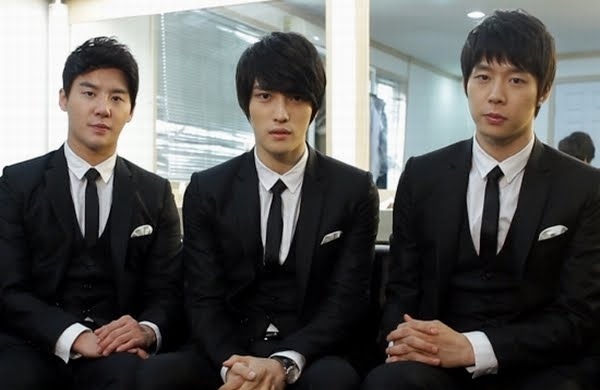 JYJ has been chosen to be the ambassador for “2012 Korea Brand & Entertainment Expo (KBEE)”. This is the 3rd event of the large-scale Hallyu (Korean Wave) expo “Korea Brand & Entertainment Expo (KBEE)” held overseas, hosted by the Ministry of Knowledge Economy and the Ministry of Culture, Sports and Tourism, and supervised by the Korea Trade-Investment Promotion Agency (KOTRA) and the Korea Creative Content Agency (KOCCA). As the ambassador of this event and as the most loved “Hallyu-Star” in both Korea and Japan, JYJ is anticipated to be the icon of both harmony and exchange between the two nations. This article originally published at C-JeS Entertainment Homepage here.